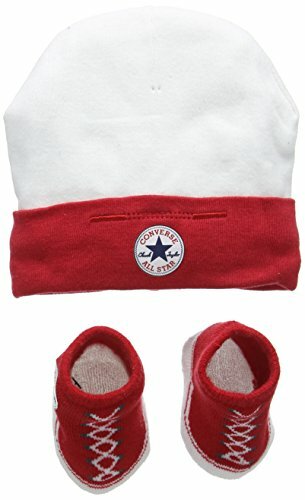 The Converse All Star Babies Hat and sock Bootie set is the cutest of sets for your little one. Sock booties and beanie hat keeps feet and head warm and safe with tons of All Star style. Made in a soft cotton construction with a colour block folded hem on hat, matching knitted socks and added All Star logo badge applied on both items. One Size. 0-6 Months.